JUST REDUCED!! 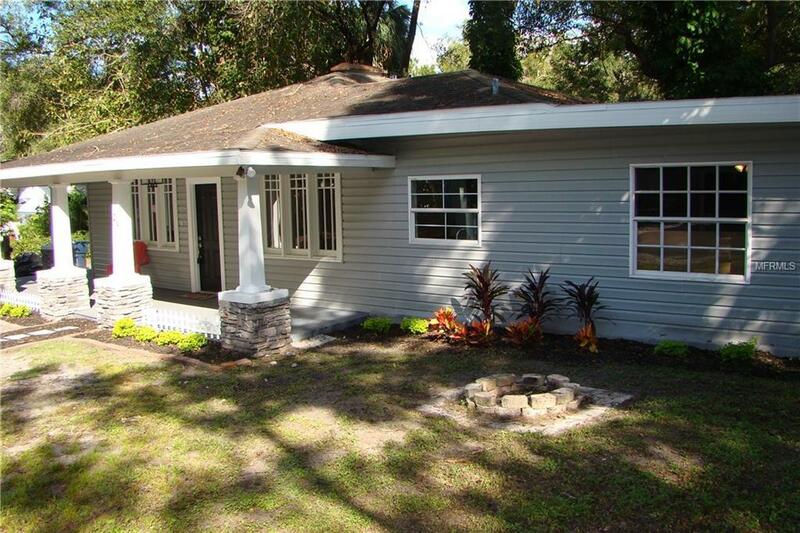 Introducing a Beautifully renovated 1920s Bungalow located in trendy Seminole Heights of Tampa. This home features a large wrap around front porch with three bedrooms and three full bathrooms. Inside youll find an open concept floor plan that flows from living room to dining room and into the kitchen. This light and bright kitchen is an entertainers dream. Quarts counter tops with island bar seating, brand new stainless steel appliances, and glass tile backslash complete the airy space. Each bedroom contains large closets for extra storage space. The master suite is large enough to fit a king size bed and full furniture with space to spare. The master also includes french doors leading to your private deck. Entering into the master bathroom you will find a massive walk in shower and sleek soaking tub. Engineered bamboo hardwoods flow through the entire home while light grey tiles complete the bathrooms and kitchen. In addition to the impressive design of the home, it is located in a prime area just minutes from highway access to I-275. Travel to downtown Tampa in just 10 minutes with shops and restaurants at your fingertips. There is also a park on the river nearby, perfect for families or pets. Come see this beauty before its gone! Listing provided courtesy of Mills Park Realty Llc.